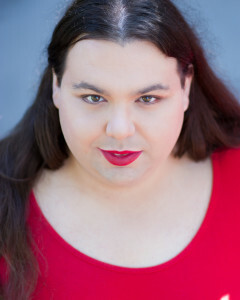 J. Deschene is a Boston-based actress, director, and singer. Onstage, she has performed such roles as “Lady Catherine de Bourgh” in Pride and Prejudice, “Abigail Adams” in 1776, and “Lady Bracknell” in The Importance of Being Earnest, the latter of which earned her a 2016 ArtsImpulse Theatre Award nomination for Best Supporting Actress in a Play. As director, she has taken on such classics as Lysistrata, The Trojan Women, and The Pirates of Penzance, among others. As a singer, she has applied her voice to both classical and musical theatre pieces, including some of Gilbert & Sullivan’s best beloved contralto roles. For more information, please visit: http://jdeschenearts.weebly.com/.